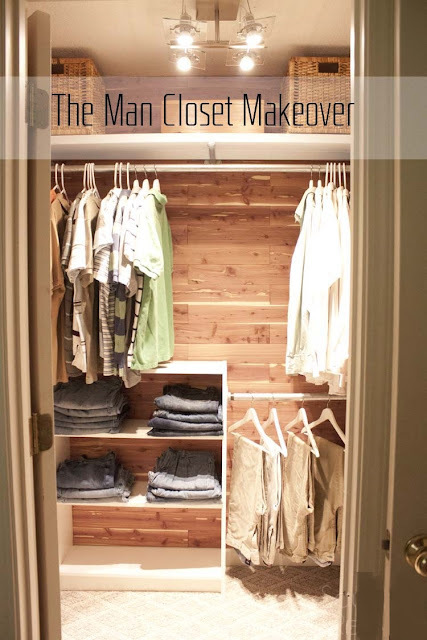 Men typically don’t look at their wardrobe the same way that most women do. However, dressing well requires a versatile wardrobe. Unfortunately, a versatile wardrobe requires a lot of money...or does it? There are ways men can revitalize their wardrobe and keep it up-to-date without breaking the bank doing so. Follow these tips and your wallet will thank you for it. Rather than buying a number of different wardrobe pieces, find clothing that can serve a number of different purposes. For example, an oxford can be the central piece of your Sunday best, or it can be unbuttoned and have the sleeves rolled up for a smart, casual appearance. You also want to make sure that you have clothes that you are comfortable with when just lounging around the house or just going out in the general public. 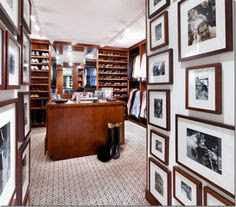 You will want to have T-shirts, jeans, dress pants, dress shirts, button ups, polo shirts, and winter clothes. With this versatile mix of clothes, you can learn how to combine different pieces to create different outfits. You don’t want to have too much of one color. A lot of men seem to stick to the primary colors. You need a nice mix up of colors. It will help you to not have a boring wardrobe and wearing essentially the same thing over and over again. When you shop for clothing, don't buy clothing that's in contrast to other pieces. Instead, focus on purchasing shades of complementary colors. White, grey, black and shades of blue combine well. Fashion is taking a turn towards more muted colors anyway; for a modern wardrobe, learn to mix and match the shades of your clothing. 3. Update the wardrobe slowly. When it comes to updating your wardrobe, you don't need to switch out everything at once. It is a waste of money to do it all at once. Focus on purchasing clothing as you can afford it and trading it for other pieces in your wardrobe. Get rid of the pieces that you'll never wear again. You can sell or donate your old clothes as well. Focus on getting a few basic staple pieces until you can afford more. That tie bar can wait; get the white oxford first. Keep an eye out for sales at your favorite stores, and make sure to take advantage of them. Sales will save your wallet. You might even consider to wait and start updating your wardrobe until around the holidays. There are a lot of great deals for clothes around Black Friday, Cyber Monday, and the coming weeks before Christmas. Buying clothing that has been discounted can be a great way to save money, especially if you're a bigger guy. Big and tall clothing tends to be significantly more expensive, but looking for sales and using Casual Male XL coupons can be a way to cut the cost of upgrading your wardrobe. 5. Check the thrift stores. There are usually hidden treasures and a lot of cool articles of clothing waiting to be found in thrift shops. Don't be afraid to dive in and browse the shelves to find a unique wardrobe piece on the cheap. Designer clothing can usually be found at great prices, if you care about brands. Updating your wardrobe can be a lot of fun and it doesn't have to kill your budget or your wallet. By employing these five tips, you can give yourself a fashion overhaul and look awesome without breaking your bank in the process. This is very much a work in progress whenever http://awriter.org/grademiners-com-review/ I find out about one who is more beautiful than any of these I will add her and kick out number ten Thanks for sharing the informative post.